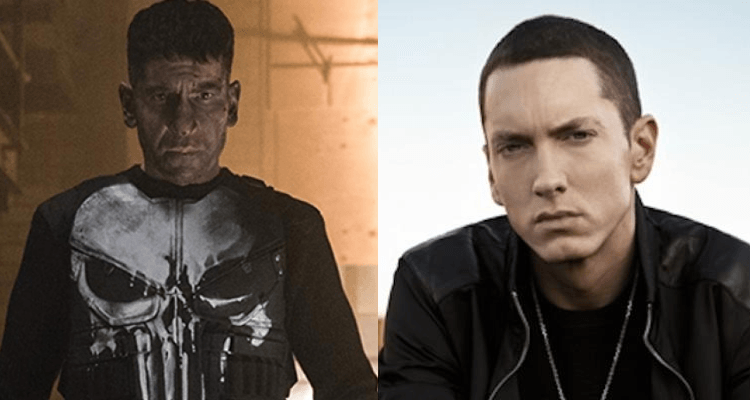 After many fans involved in Marvel’s The Punisher series who have responded to Eminem calling Netlfix out for cancelling the series. And now, The Punisher star Jon Bernthal reaction has also surfaced online. Netflix has now officially ended their relationship with Marvel by officially cancelling The Punisher and Jessica Jones. Even though this cancellation was highly anticipated, it still stung many, and now a really popular musician is upset at The Punisher’s cancellation. Eminem wrote to Netflix that they’re “blowing it” over cancelling the show. Eminem, who has a Grammy by his name isn’t a stranger to genre films, he released a Venom single for Sony last year and has even revealed that he aspired becoming a comic book artist if it wasn’t rap. When his album “Relapse” released in 2009, Eminem appeared in a comic book Eminem takes on The Punisher. This sees The Punisher eliminating Eminem right after the rapper got over with his set. “Netflix somehow knew that Marvel show tended to dip amidst and beyond during the season. They hence wanted to shorten the seasons of those Marvel shows, which would take dip’s case, making them less expensive for Netflix to produce. That wasn’t going to happen for Disney, as it saw the loss of revenue than counterproductive, especially when it couldn’t use those characters for any of their projects. Netflix started pulling the plug with Iron Fist and later Luke Cage followed by Daredevil and The Punisher. Season one and two of The Punisher are now live on Netflix.